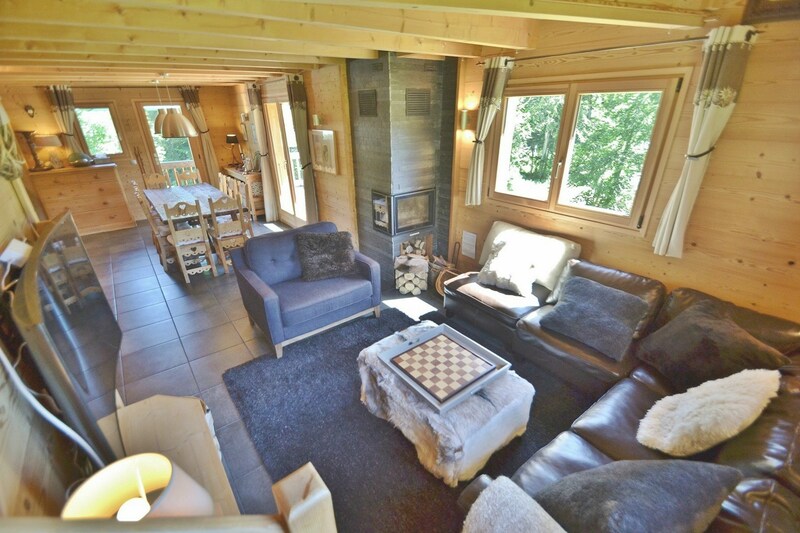 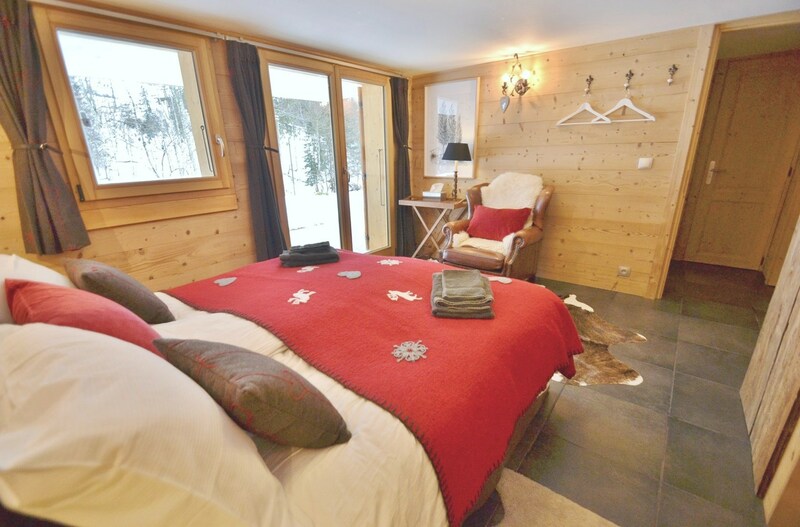 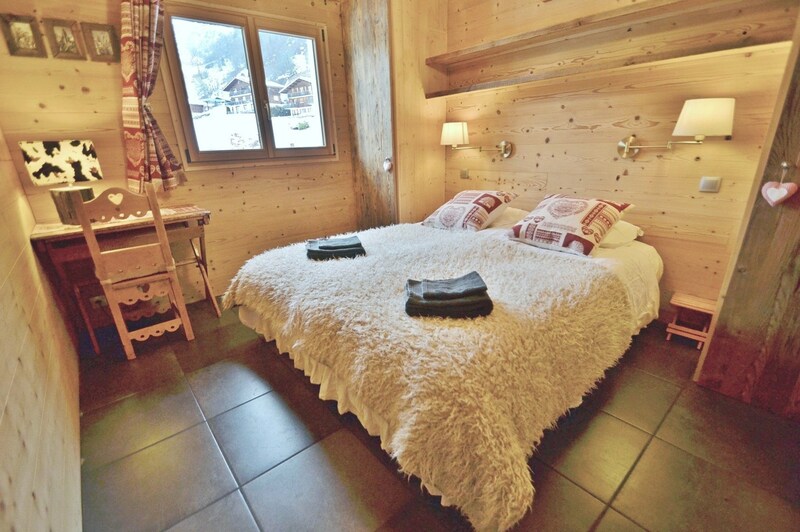 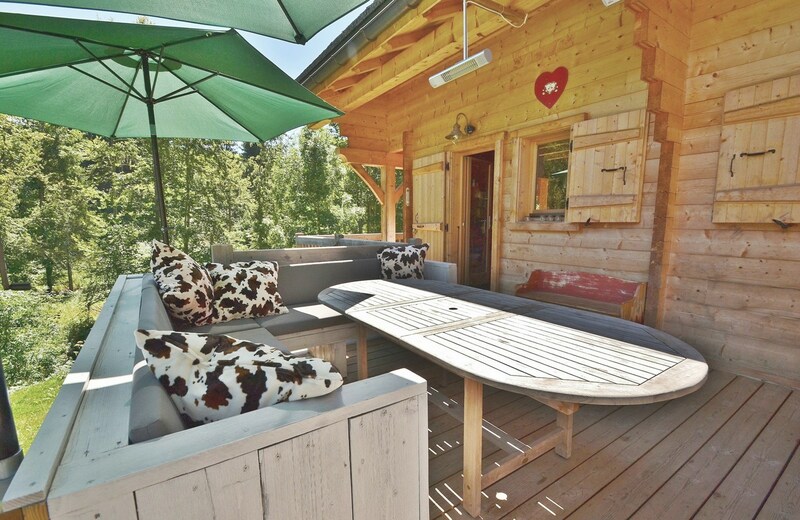 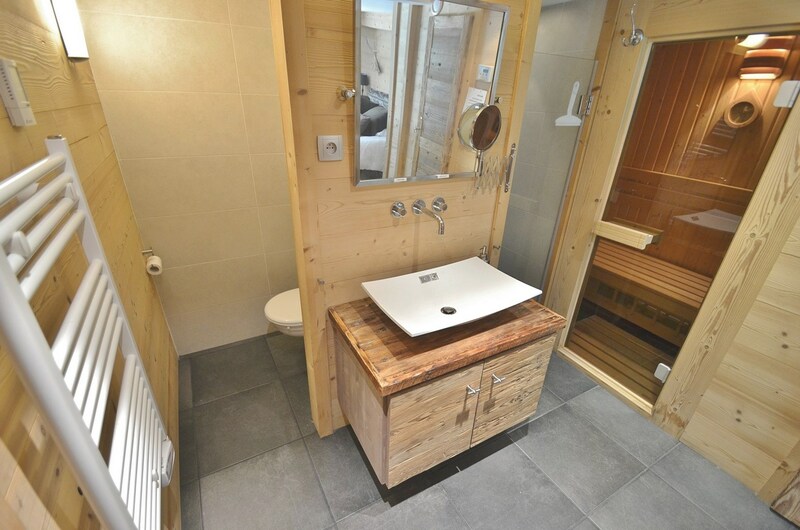 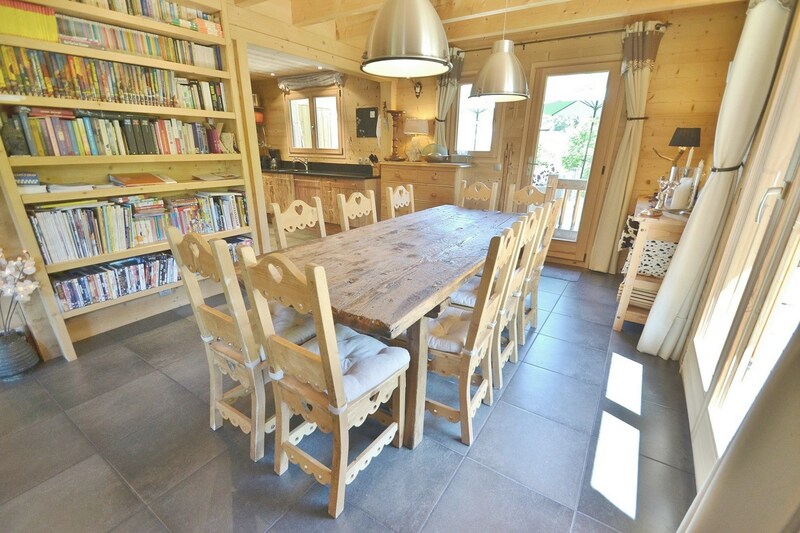 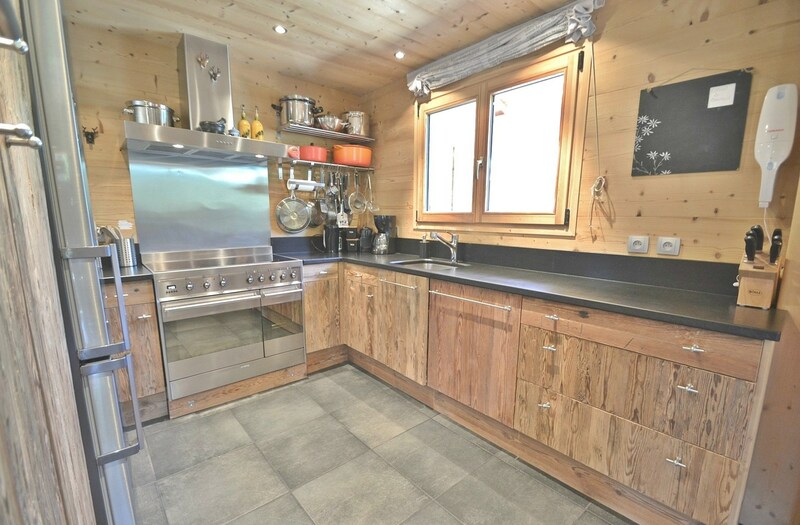 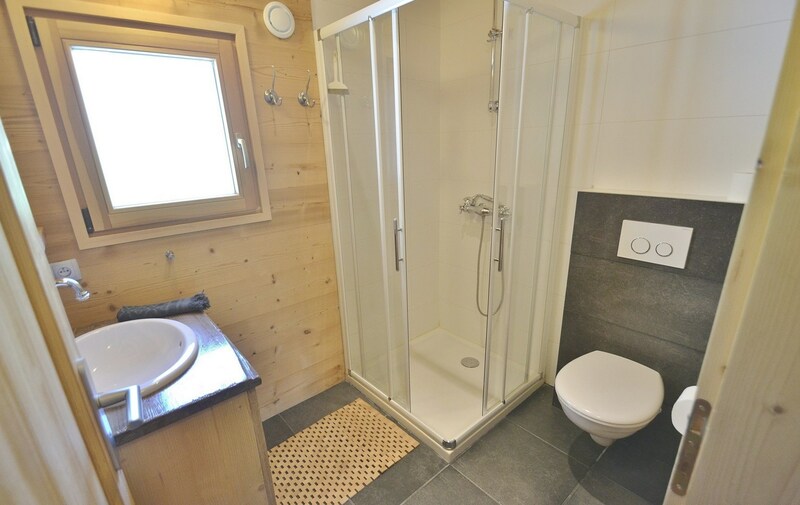 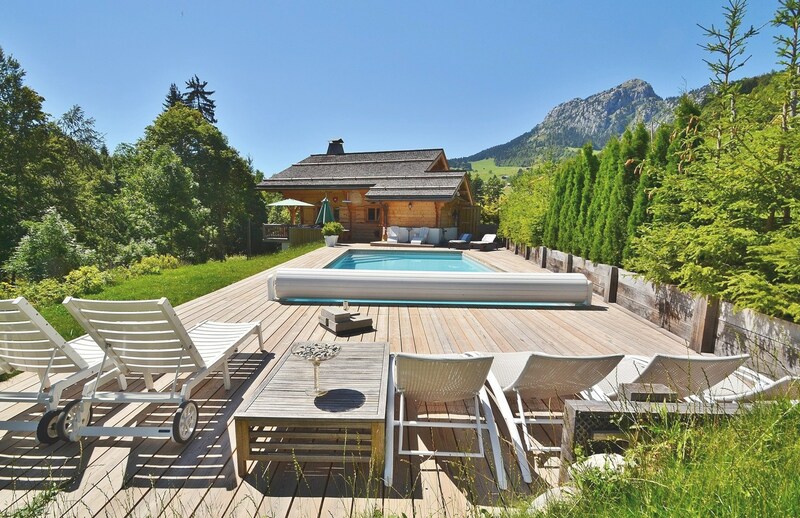 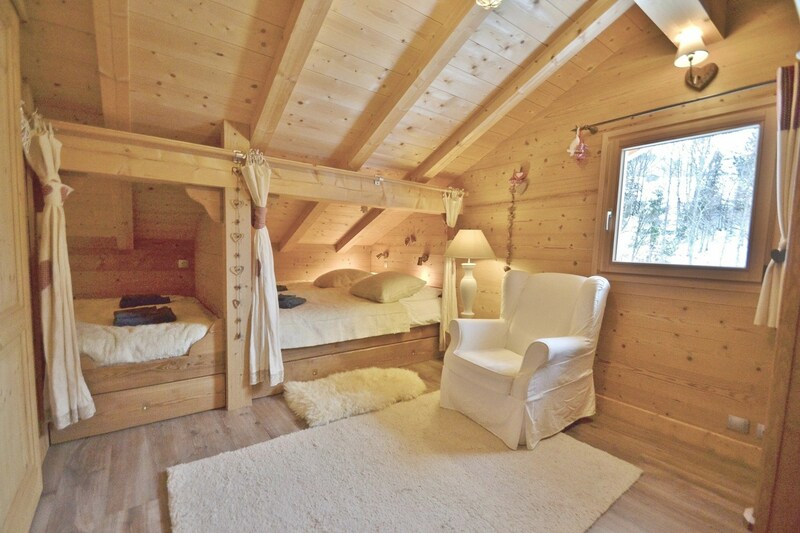 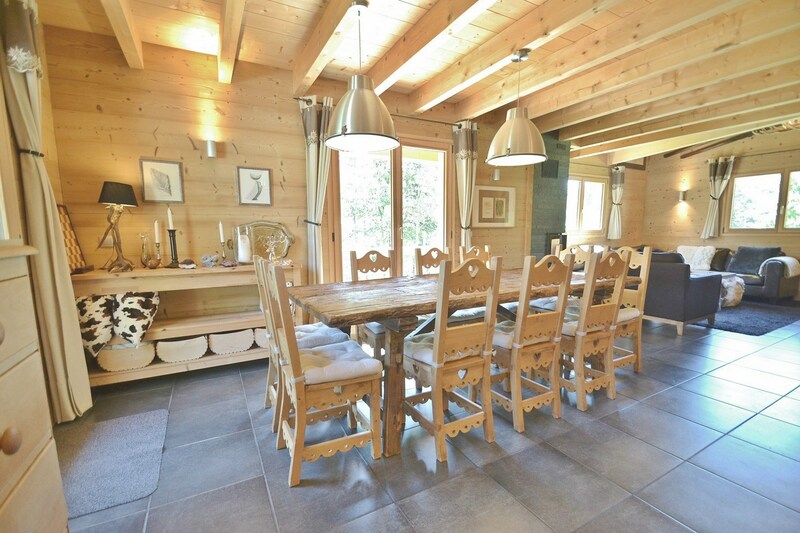 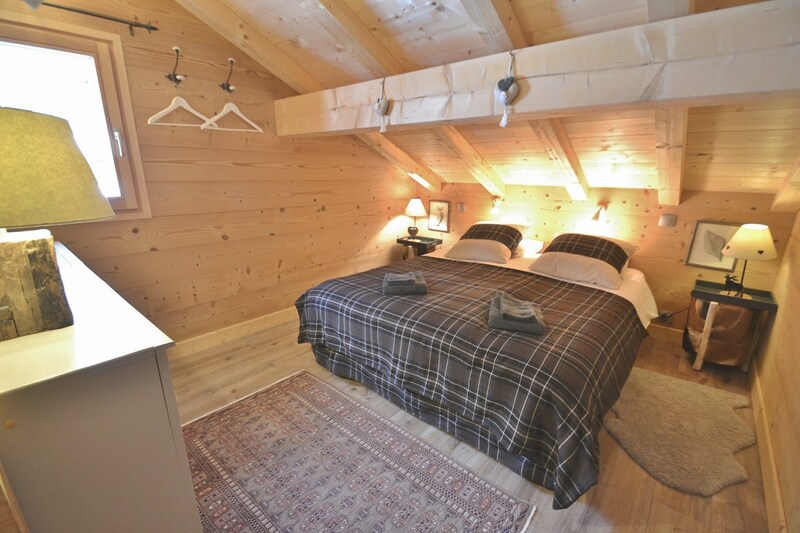 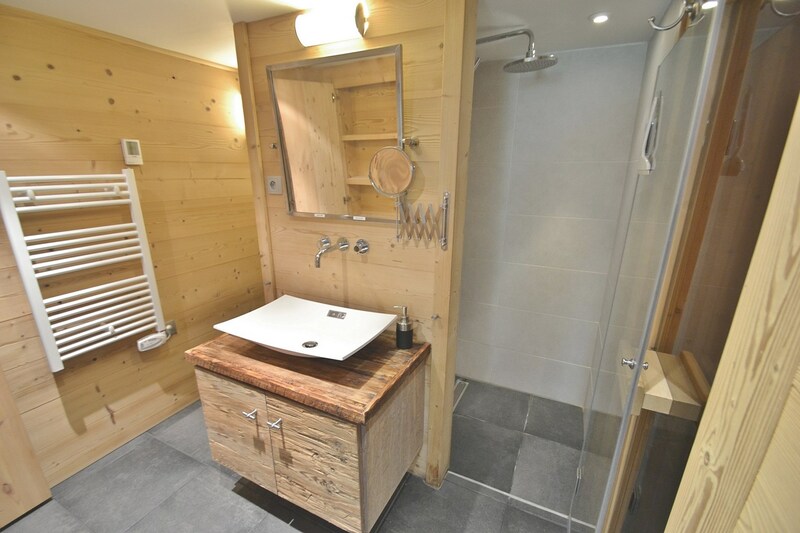 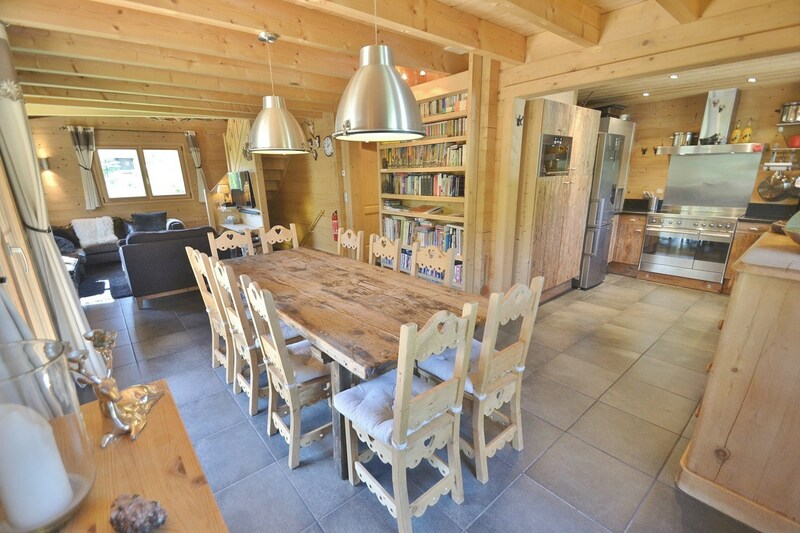 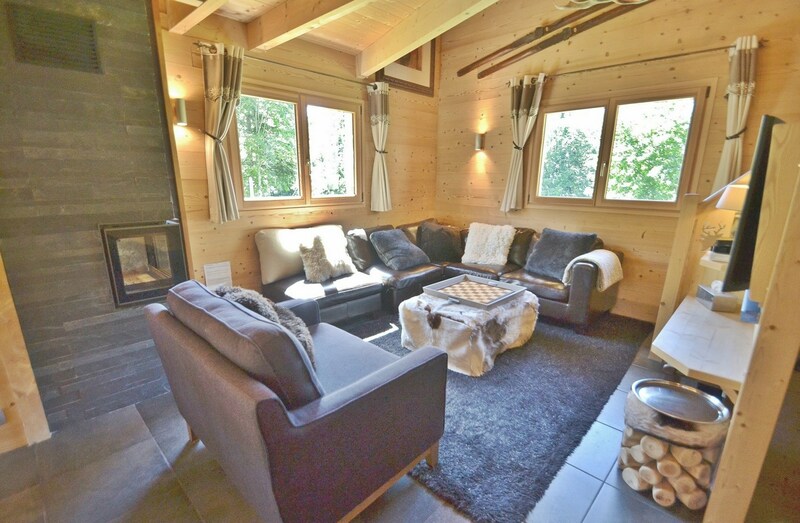 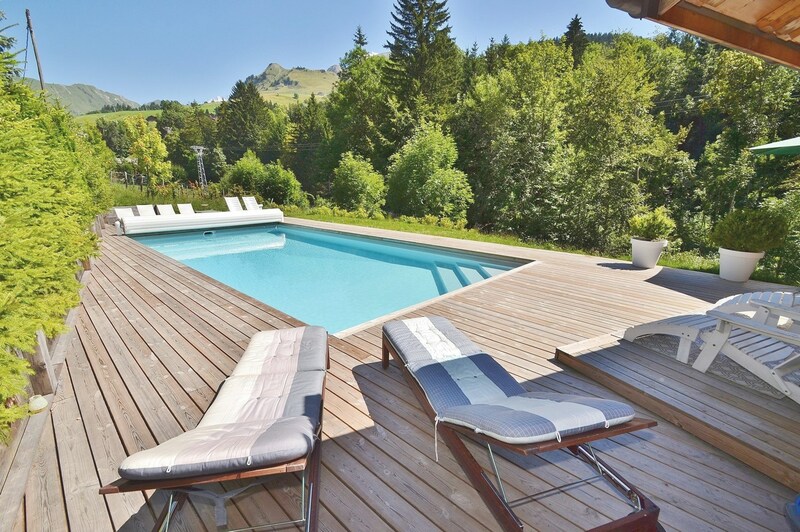 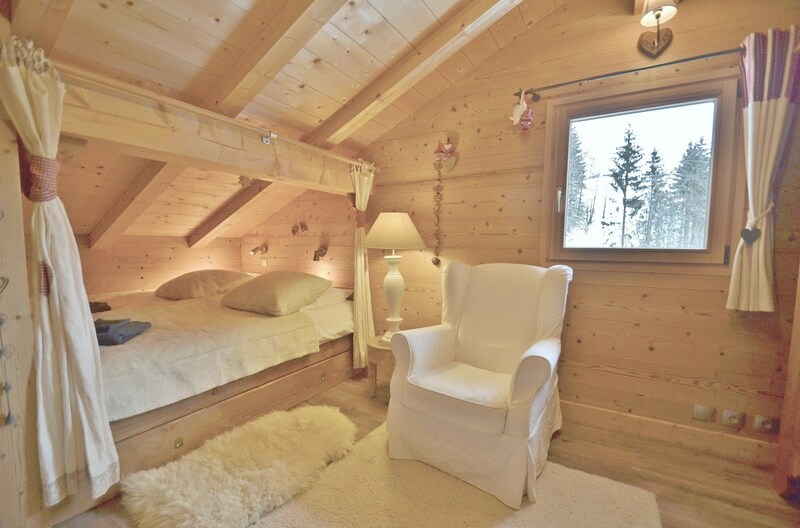 This beautiful luxury 4 star chalet was built in 2011 and features a sauna, wifi, satellite channels, is only 2 min. 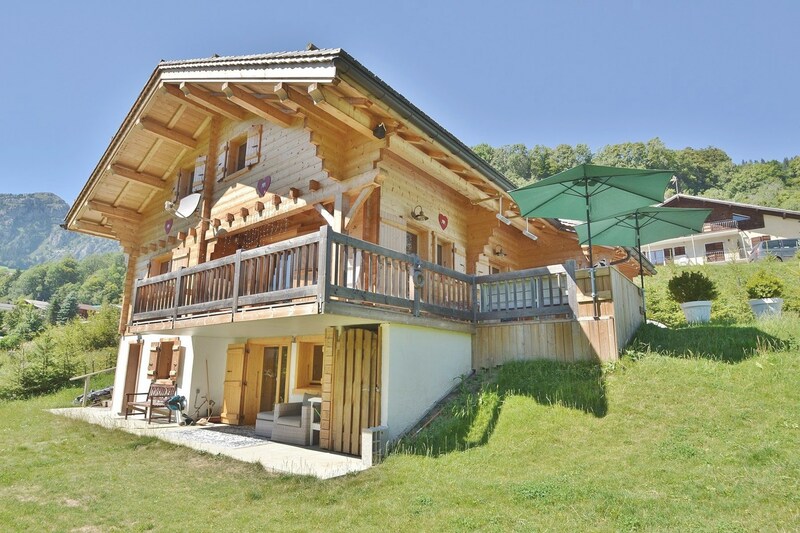 walk from the nearest ski-bus stop and 12 min. 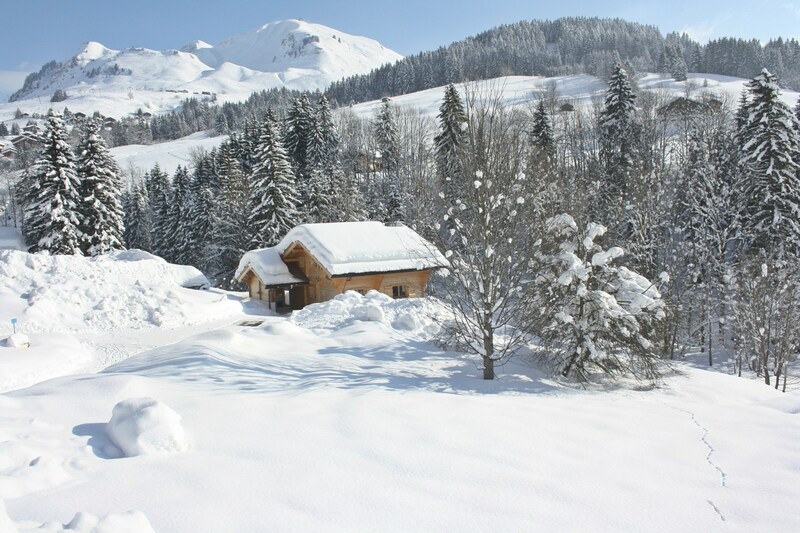 from the nearest chairlift and the heart of the village. 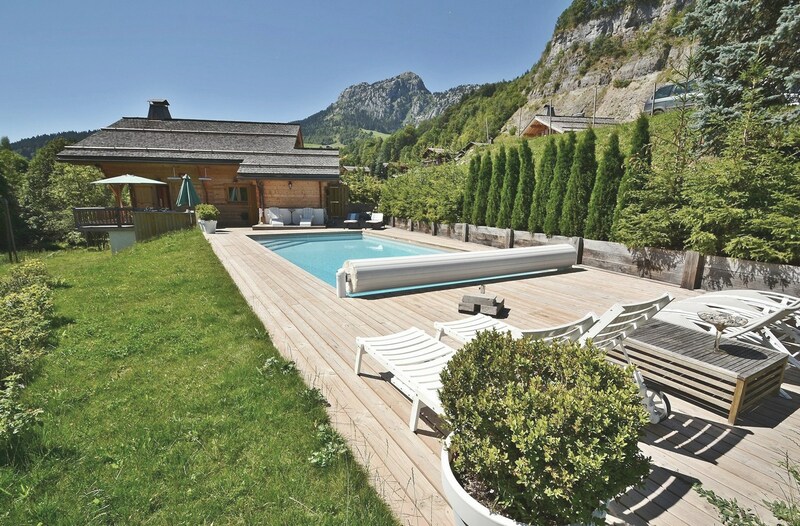 For summer use, there is a heated outdoor swimming pool 10.5m x 5m!! 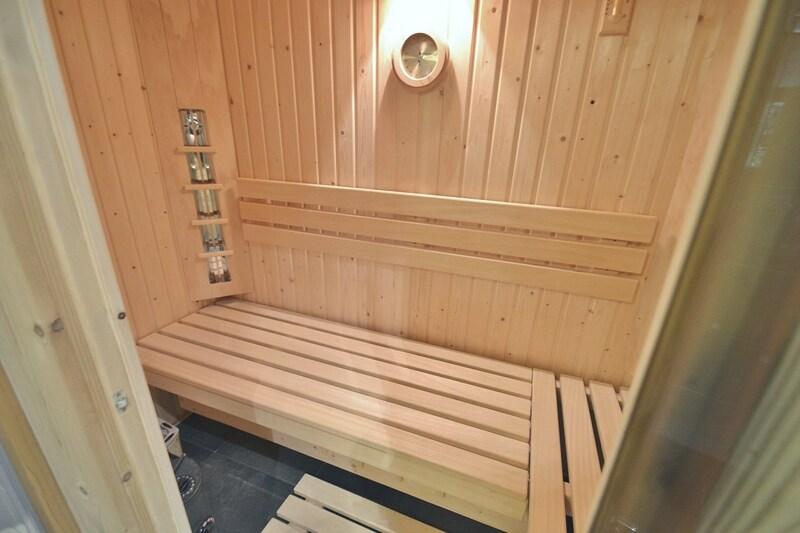 On the ground floor there is a bedroom/bathroom with traditional or infrared sauna, a washing machine and dryer as well as a summer kitchen together with an electric boot warmer for up to 8 pairs of boots. 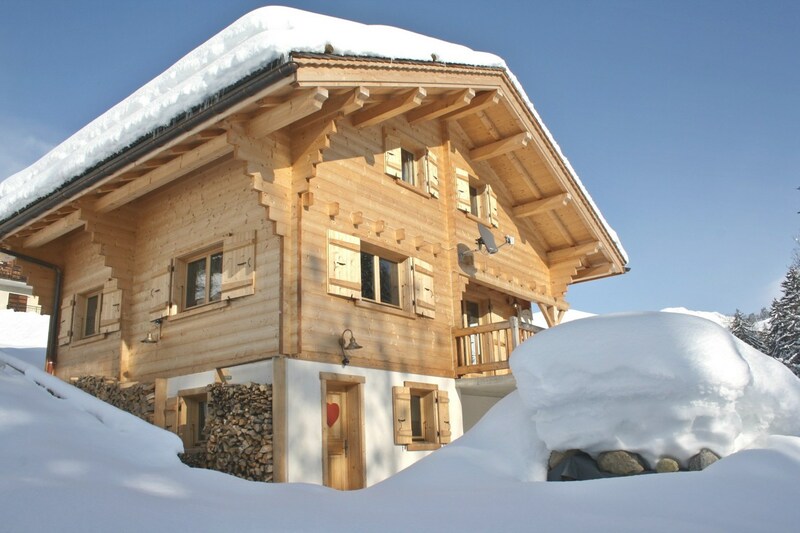 It is also where all the skis can be stored. 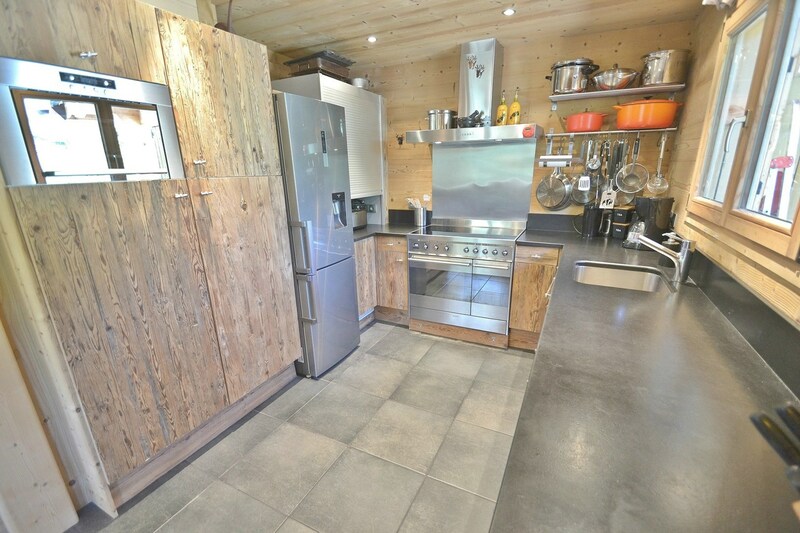 Upstairs, the open plan living room includes a large kitchen equipped with induction hob, two ovens, large fridge freezer etc. 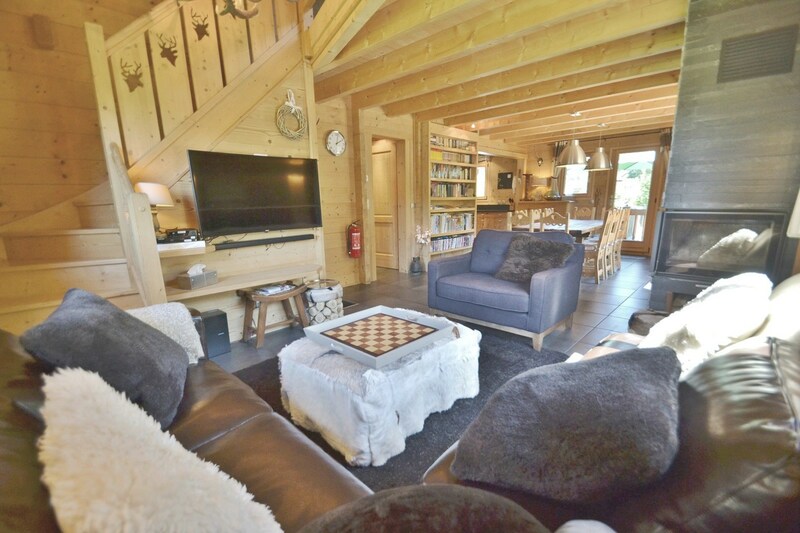 There is a home entertainment system with Blu-Ray/DVD player and large flat screen TV. 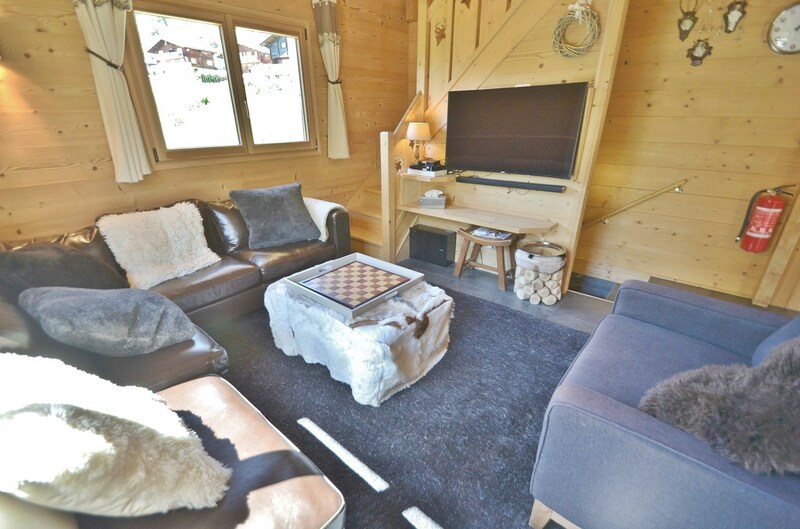 Reception of most British, French, Dutch and German TV stations (and a wide array of others) is possible through two satellite receivers. 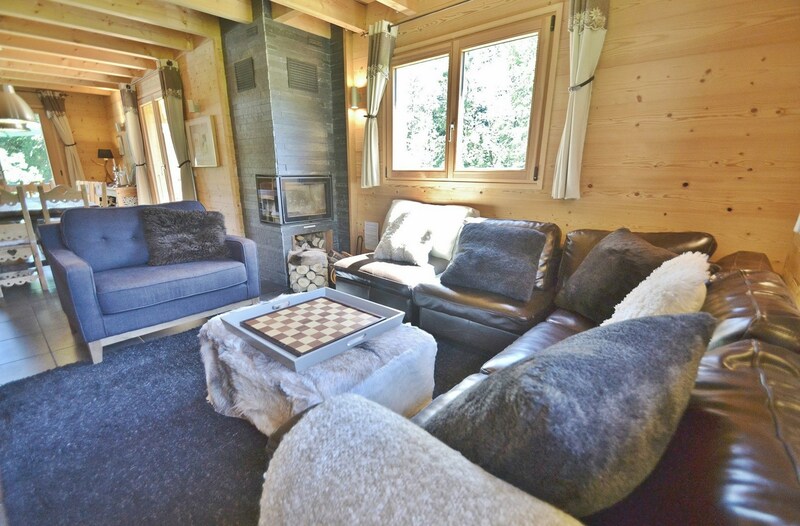 There is a woodburning stove (logs are provided) ideal for those cozy winter evenings! 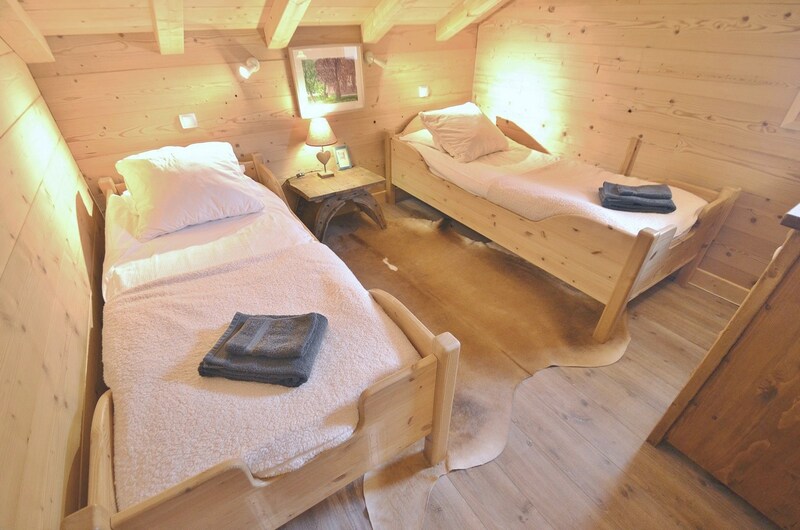 On the same floor there s another double bedroom with bathroom and toilet. 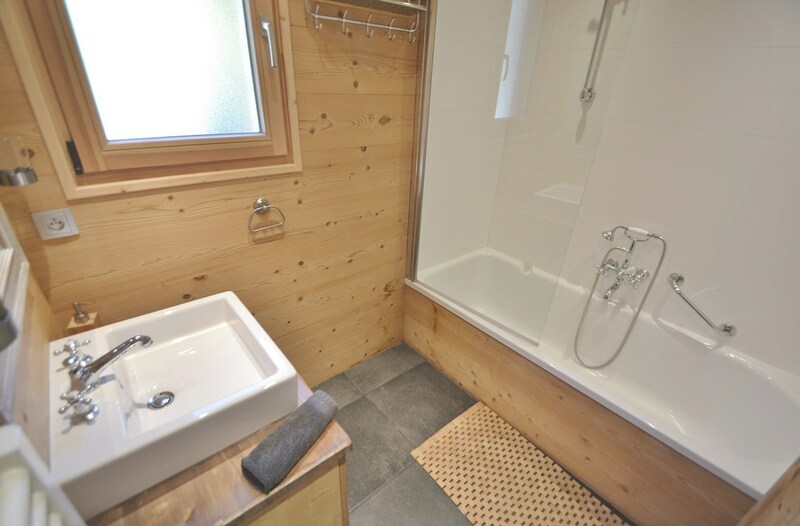 Upstairs, there is a cosy landing and then a further 3 bedrooms (1 twin, 1 double, a separate shower room with toilet and a bedroom with two double boxbeds with en suite shower room/toilet). 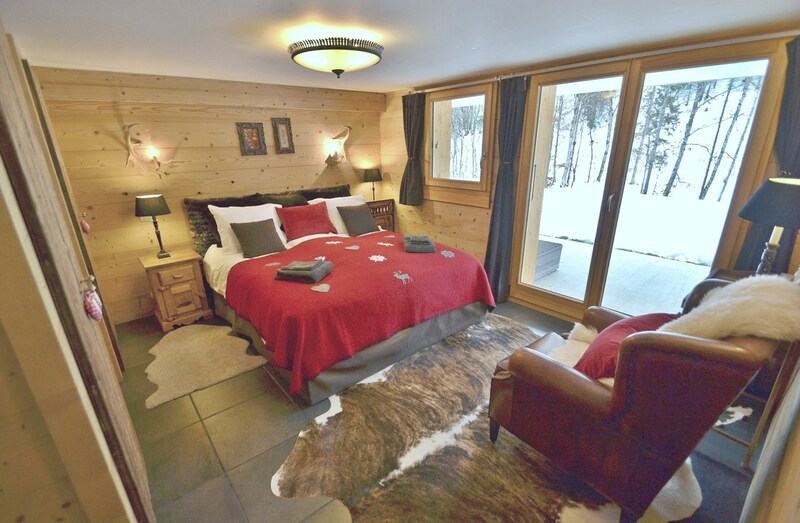 The chalet has underfloor heating.